Blowout Sale! Free Shipping Included! 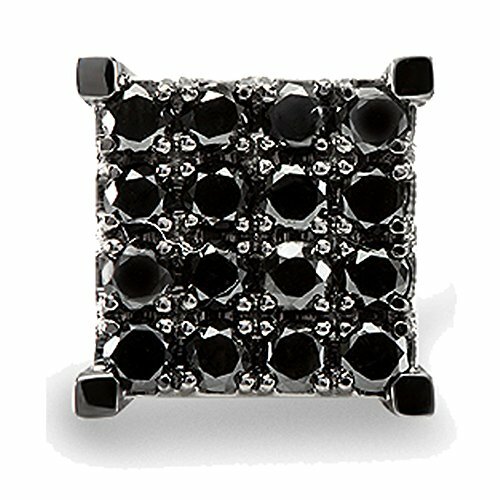 Save 72% on the 0.87 Carat (ctw) 10k White Gold Black Round Diamond Square Shaped Stud Earring by DazzlingRock Collection at SCRHI. MPN: K1530-1pc. Hurry! Limited time offer. Offer valid only while supplies last. This lovely Stud Earring are beautifully hand set in micropave setting. The diamonds are real and sparkling. Black Diamonds are enhanced for color.